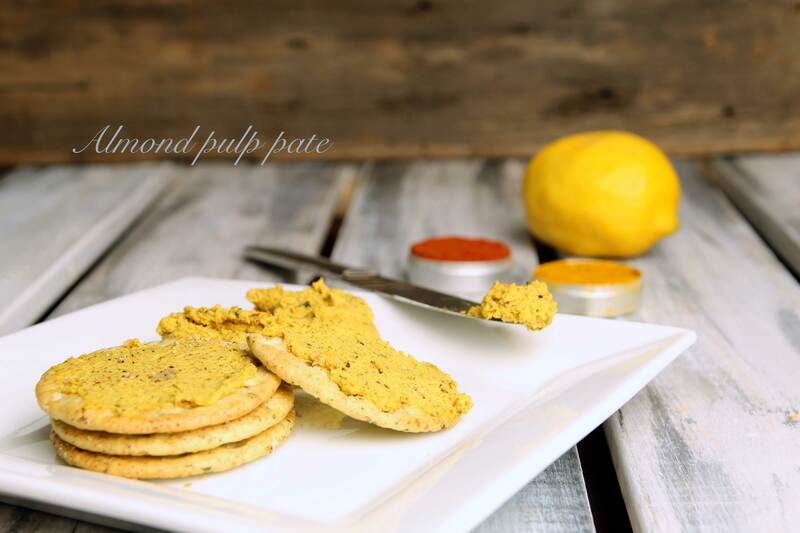 Almond pulp pate | Simply called "Food"
As you keep enjoying the summer, you are probably looking for healthy food you can prepare without heating your kitchen with your stove or oven! If you decided to start making your own almond milk (see recipe), that is really great! You probably see a world of difference between homemade and store bought one. But now you have some almond pulp and you are probably starting to wonder what can be done with it. There is also a possibility to make almond cookies or if you don’t want to use it right away, you can freeze it for later. You can make a very healthy but mostly tasty pate you can put in your lunch roll, in your vegan sushis or in a sandwich. So easy to make since the biggest part of soaking and grounding is done. You just have to combine the ingredients together. I like to use it a lot like I did in my Quinoa sushi recipe. Combine all the ingredients together and let it rest so the flavours blend together. The only last step is to Enjoy! Tags: almond, healthy recipe, Raw food, Spices, summer, Vegan, Vegetarian, white miso. Bookmark the permalink. I am always on the lookout for simple, healthy lunch options — and I love to just spread something on crackers for an easy lunch! I’m always on the lookout for simple, healthy lunch options — especially something I can just spread on a cracker for a quick option. Kids really enjoy it too! I love a recipe that has no waste or uses “leftovers” as ingredients. First I need to make the Almond milk. Good to know, thanks! You will see that after you make your own almond milk, you’ll never go back to the one that they sell in stores! Hope you’ll enjoy! This is an interesting spread. Great way to use everything w/ those nuts. Thanks! I try to find ideas with what I have left from the nut milk I make. I’ve never heard of Almond Pulp Pate, thanks for sharing.